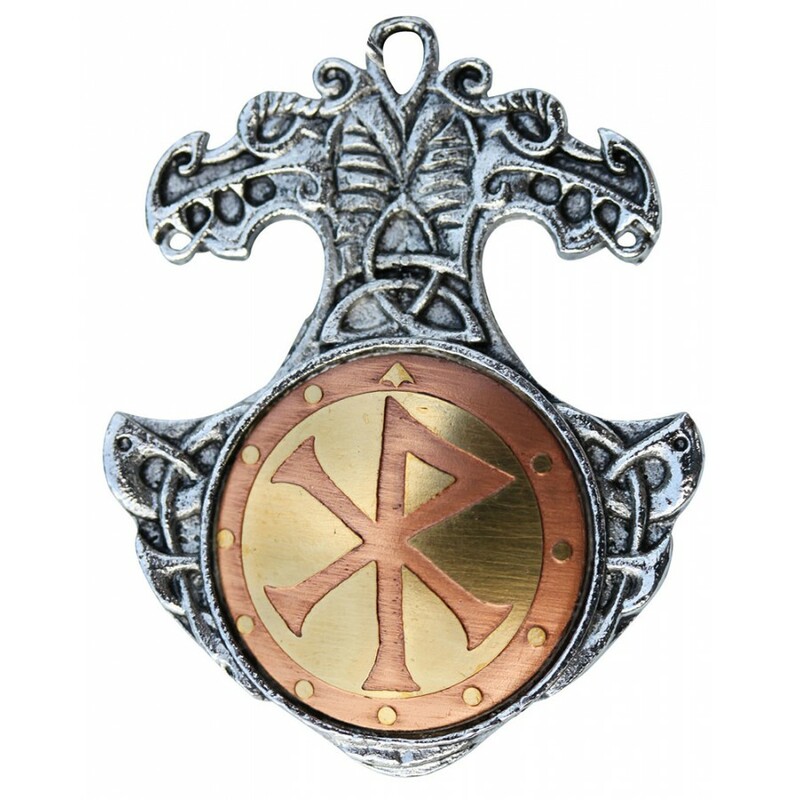 Combining runes into a powerful sigil, this Bindrune amulet invokes happiness and friendship. 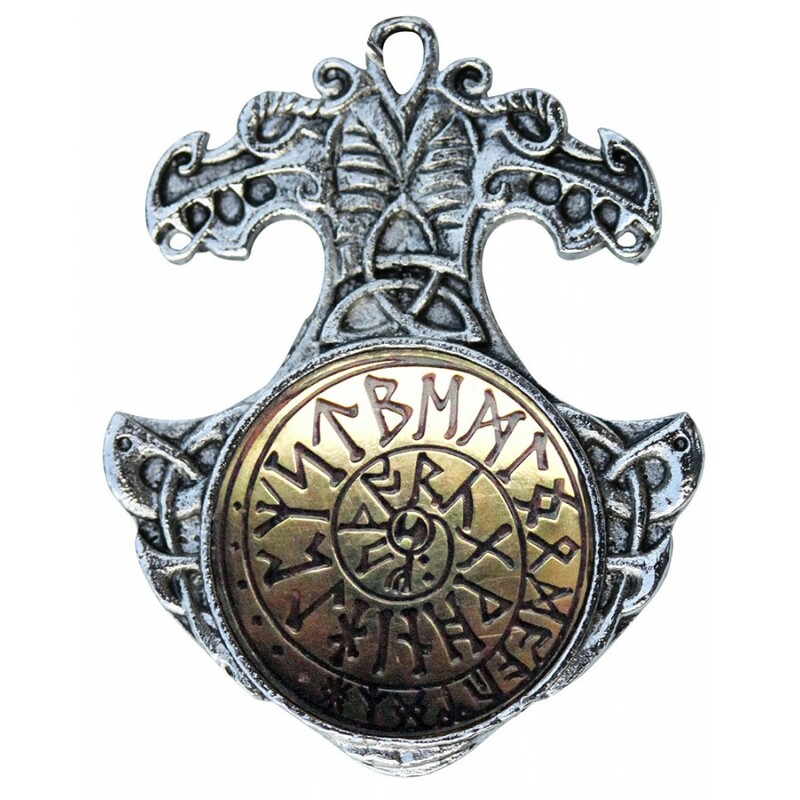 This reversible bindrune charm combines the individual magical meaning of Wyn (fulfillment of wishes), Gyfu (giving & receiving), and Is (no immediate change) runes to create an immensely powerful talisman, drawing on each of the runic individual meanings to create a vortex of magical energy. 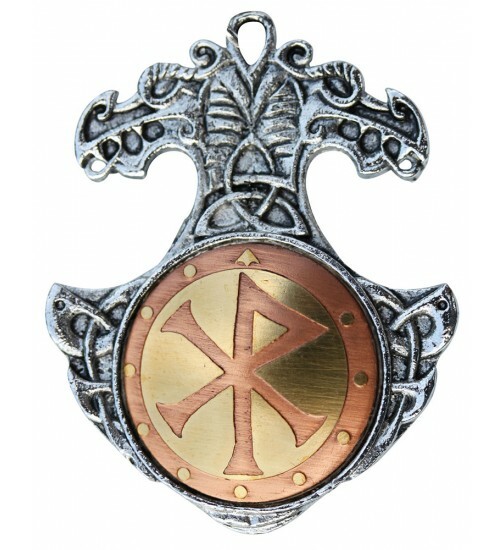 Each charm features a copper and brass “disc” front and back. The front depicts the bindrune - a combination of runes from which it draws power. 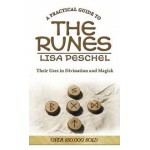 The reverse side features an entire set of runes. Made from allergen-free zinc alloy in silver color, each amulet comes with an 18 inch chain, a blue satin pouch and a comprehensive leaflet detailing the history of runes, how to empower them and what each rune means. The amulet is about 1.5 x 1.5 inches. Before using your Bindrune Charm sprinkle it with a little salt and leave it overnight in a safe place. This is to physically cleanse it of any influences it may have picked up in transit to you. Once the rune is cleansed it’s ready to connect and to start working for you. Item Number: SK-BR01 | Approximate Size (Inches): 1.50 wide x 0.10 deep x 1.50 high | Approximate Shipping Weight: 0.25 lbs. By Bianca Luna A sacred set of magical symbols from the ancient world, R..